Allen Radtke, age 83 of rural Twin Brooks died April 2, 2018, at Sanford Hospital in Fargo, ND. Funeral services will be held on Saturday, April 14 at 1:00 P. at Central United Methodist Church in Milbank. Rev. 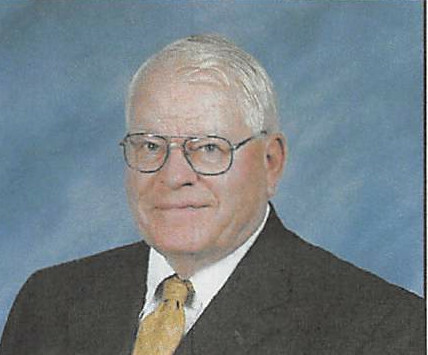 Dr. DeVern Schwenn will officiate and burial will be in the Milbank Cemetery. Visitation will be one hour prior to the service. Casket bearers will be: Lynn Foss, Mark Foss, Karen (Foss)Bradford, Glenn Kvidera, Steven Kvidera, Doug Kvidera, Celeste (Kvidera) Butter and Dan Butter. Allen James Radtke was born on April 6, 1934, on the family farm in Grant Center Township, Grant County, SD. He was the son of Albert R. Sr. and Minnie S. (Zick) Radtke. Allen attended grade school at Grant Center #3 Country School and graduated from the eighth grade. He was also served in the military as part of “The Old Guard”, Company A-3rd Infantry division. Allen was united in marriage with Mary Lou Foss on September 20, 1968. Allen farmed in Grant County for many years. He was a member of Central United Methodist Church. He loved his family and was very proud of his grandchildren. Mary Lou died on September 29, 1996, after a long battle with diabetes. Allen is survived by his son and daughter-in-law: James and Lisa Radtke and their three children: Connor, Ethan, and Ashlee Radtke; sisters-in-law: Carolyn (Richard) Kvidera of Ortonville, MN; and Judy Radtke of Milbank, SD; brother-in-law, Dale (Jeanne) Foss of Aberdeen, SD; as well as nieces, nephews, and other relatives. Allen was preceded in death by parents, Albert and Minnie; wife, Mary Lou; four sisters and three brothers-in-law: Marcella Radtke, Lola and George Malone, Dorothy and Stuart McFarland; Eleanor and Jerome Steen; three brothers and one sister-in-law: Arthur Radtke, Willmar Radtke, Albert L. and Irene Radtke; his father-in-law and mother-in-law: Alvin and Ione Foss.